Many thanks for all of your hard work helping us to secure our wonderful new house in East Sandwich. We are so pleased and appreciate your professionalism and dedication to your job. We would recommend you to everyone! You have a lovely demeanor – continued success to you. 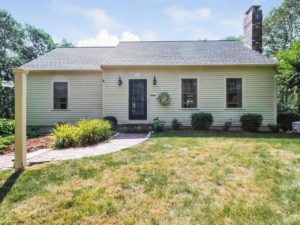 Sofia was recommend as the “best” to find my perfect home.I enjoyed the entire opportunity working with Sofia when I decided to relocate to the cape. I presented a wish list and a price level. Sofia was diligent in only showing me true possibilities of homes. In addition, she was always available by phone, email and scheduled appointments to view properties that were convenient for me traffic wise living 40 miles away. Everything I wished for I now enjoy because of Sofia’s dedication to clients and finding MY HOME. I am confident she will find YOUR PERFECT HOME. I highly recommend Sofia! She represented me when I wanted to purchase a rental property on Cape Cod. Sofia was not only very knowledgeable about the market and available properties, but also extremely helpful in identifying the pluses and minuses of the different candidate properties. She made the entire purchase process work smoothly, and after five years, I have nothing but positive feedback! Sofia has represented me in three transactions over the past three years. 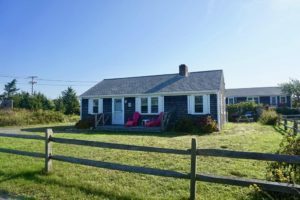 She has tremendous knowledge of the Cape Cod real estate market and is very well networked with local realtors, attorneys, mortgage bankers, and construction trades. 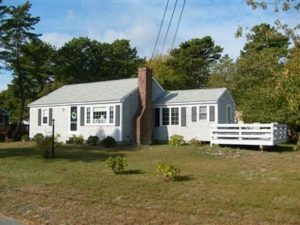 Sofia demonstrates a thorough understanding of what sellers and buyers are looking for on the Cape. I feel very fortunate to have been introduced to Sofia several years ago. None of my deals were simple or easy; Sofia represented me in these transactions with the highest standard of professionalism, enthusiasm and ethics. If you need a realtor on the Cape, whether you’re selling or buying, you will be very satisfied teaming with Sofia and Coastal Point Properties! 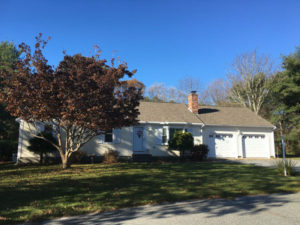 I am writing this to provide a recommendation to Sofia Naoom, of Coastal Point Properties, for her outstanding support in helping me buy a property in West Dennis. In Oct 2017, I found a beach property on the Zillow website that I found interesting. I contacted my realtor (another company) and they told me the property was not listed in MLS. I went back into the Zillow website and clicked on the button to ‘contact the agent’. Sofia immediately contacted me and told me the property was listed and is still available. We viewed the property and several others, however, I had my mind set on the original beach property. I made an offer and the seller wasn’t willing to budge. Throughout negotiations with the selling agent, Sofia kept me informed of the seller and selling agents’ demands. One of the seller demands was to provide a pre-qualification letter. Sofia called her mortgage broker at Cape Cod 5, the loan officer called me on a Sunday night, and the pre-quaificationl letter was provided to me within hours of the original request, amazing. It took over a week to finally negotiate the final selling price/package, and Sofia was there night and day to provide updates from the selling side. Through the home inspection period to closing, Sofia supported every necessary inspection, including a viewing of the understructure of the home during a monster storm. Sofia is a Cape Cod native with numerous contacts for service providers. I have used these contacts and will keep them for future use. I consider myself a reasonable person and am aware that Real Estate Agents ultimately work for the seller. I was cautious with what Sofia advised, knowing she wanted a sale. However in the end, I couldn’t ask for any better service. I am still interested in Cape Cod properties and I will use Sofia as the Real Estate Agent to find the right place for me and my family.